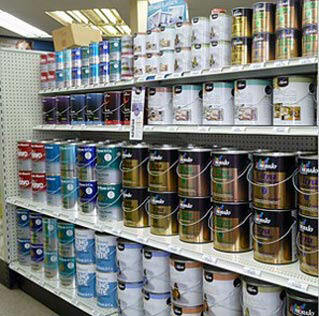 Save On Select Paints From An Industry Leader In Residential And Commercial Paint & Wallpaper. Restrictions may apply, see store for details. Not valid with any other offer. With Valpak® coupon only. Coupon void if altered. Expires 05/04/2019. Have you been wanting to paint your homes’ interior walls since the day you moved in, but it boggles your mind just looking at the paint sample cards? You’re not alone. At Buss Paint & Wallpaper in Emmaus, PA, we are the experts in all things interior for your home or business. Our clients range from homeowners to hospitals, contractors to colleges. When it comes to color matching paint, interior design services, custom wood staining, custom caulk matching, even window treatments, we’ve assisted thousands of customers since we opened in 1955. We know the detailed complexities of our business and we make them simple for you. And, we back that up with 65 years of experience as a proven industry leader in our field. Bring in our coupons and save on select paints. Comprehensive Selection of Paints & Wallpapers, Residential & Commercial Projects, 65 Years' Experience, Home Design Consultation, Color Consultation, Custom Wood Stain Matching, Custom Caulk Matching, Window Treatments. Benjamin Moore Paints & Finishes, Coronado Paints & Coatings, UGL - Masonry Prep & Patch Products, ZAR Wood Finishing Line, Lenmar Wood Finishes, Sikkens Wood Care, Rust-Oleum Industrial Brand, Insl-X Coatings, Wooster Paint Products, Elder & Jenks Professional Tools. Buss Paint & Wallpaper in Emmaus, PA is close to the neighborhoods of Vera Cruz, East Texas, Lanark, Limeport, Macungie, Wescosville and other area communities.